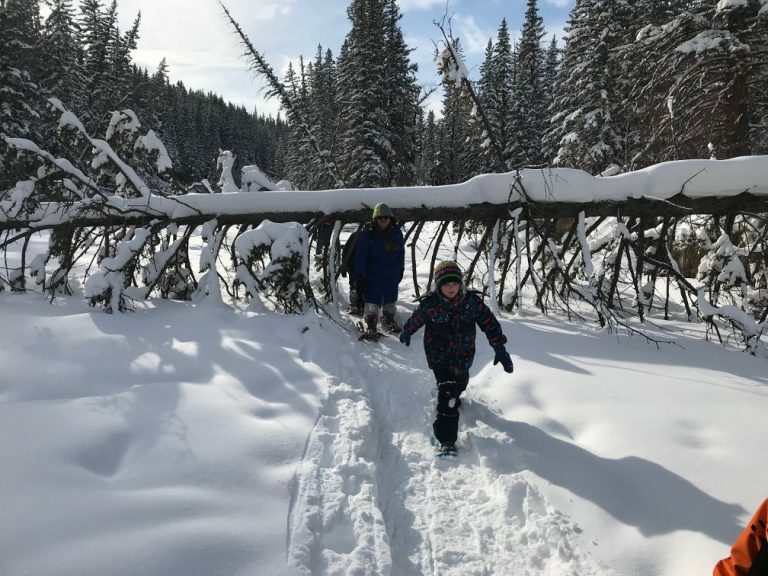 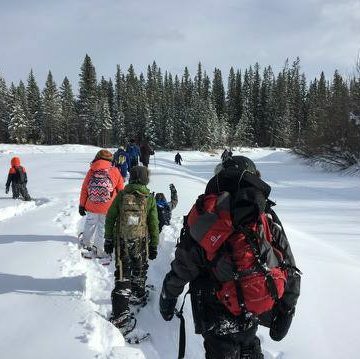 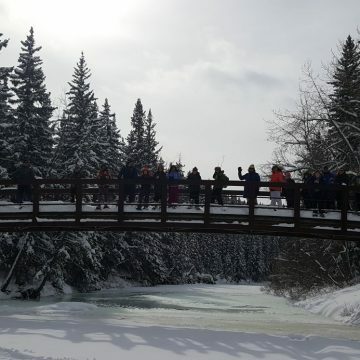 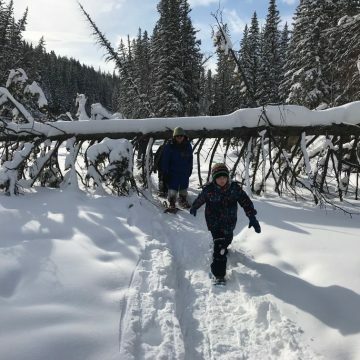 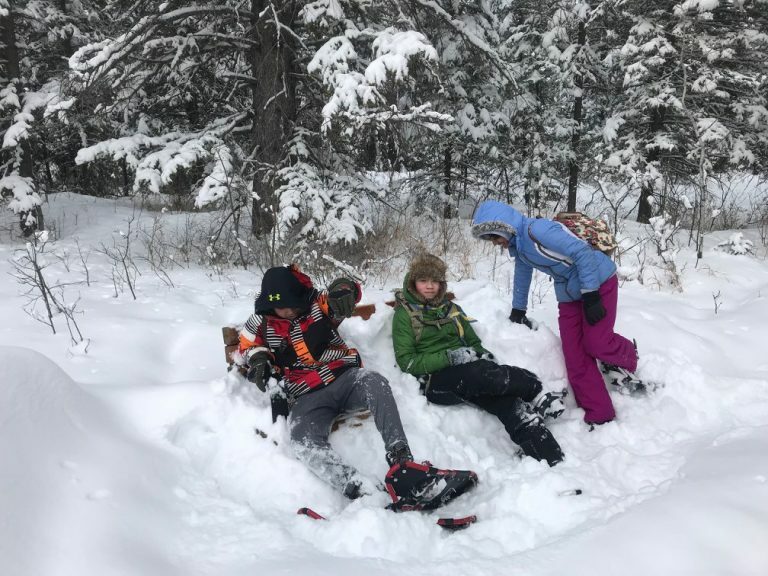 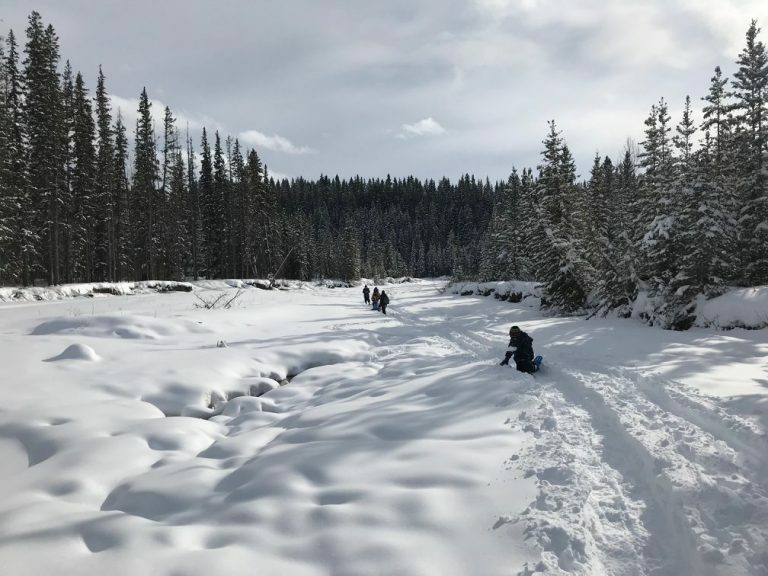 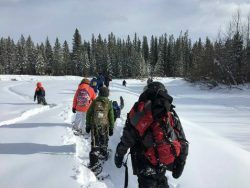 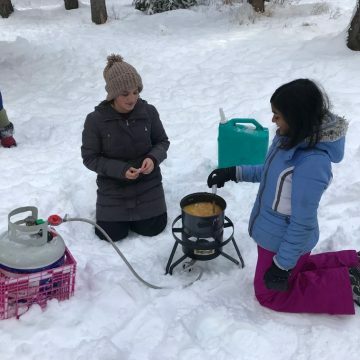 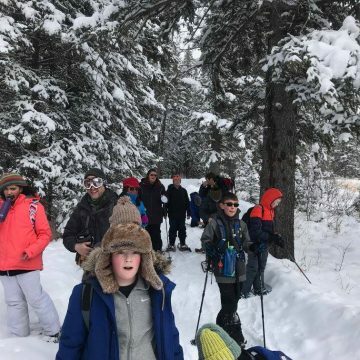 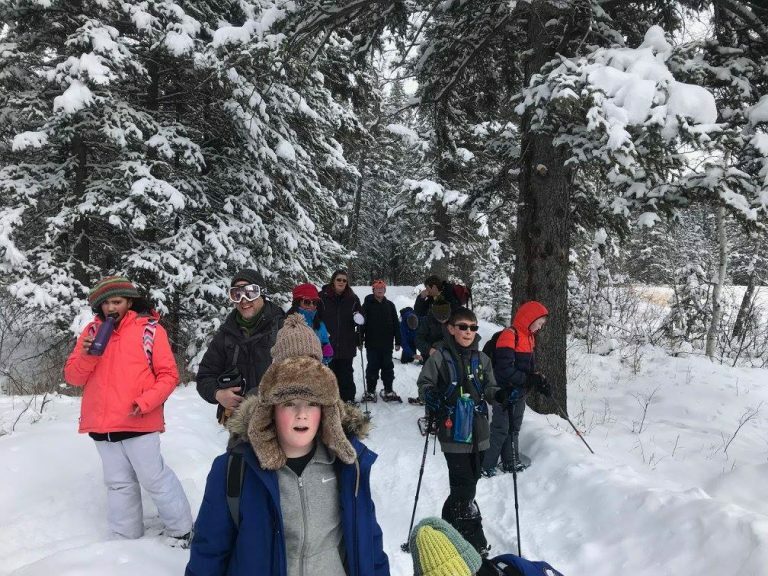 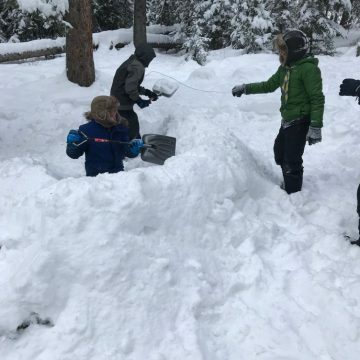 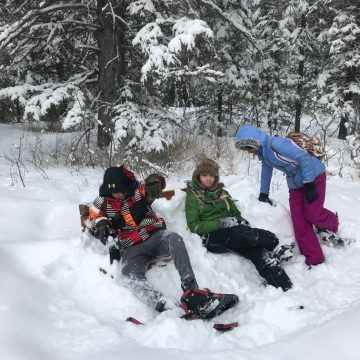 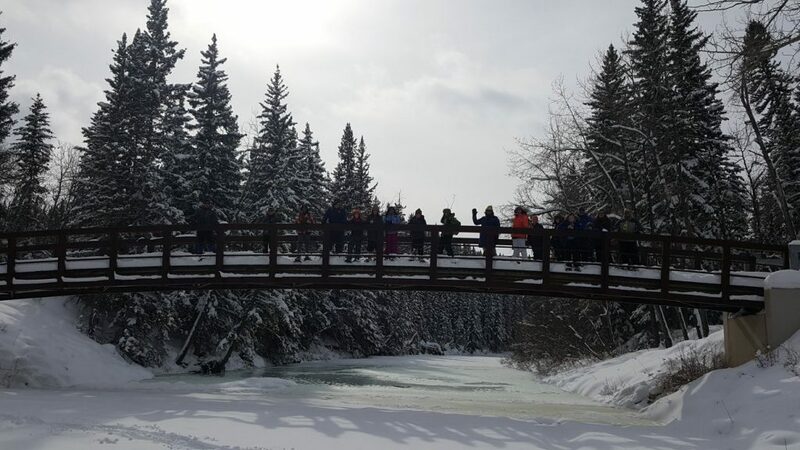 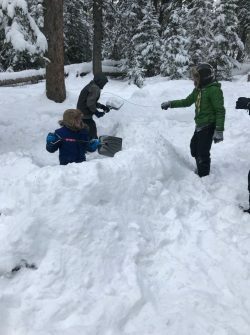 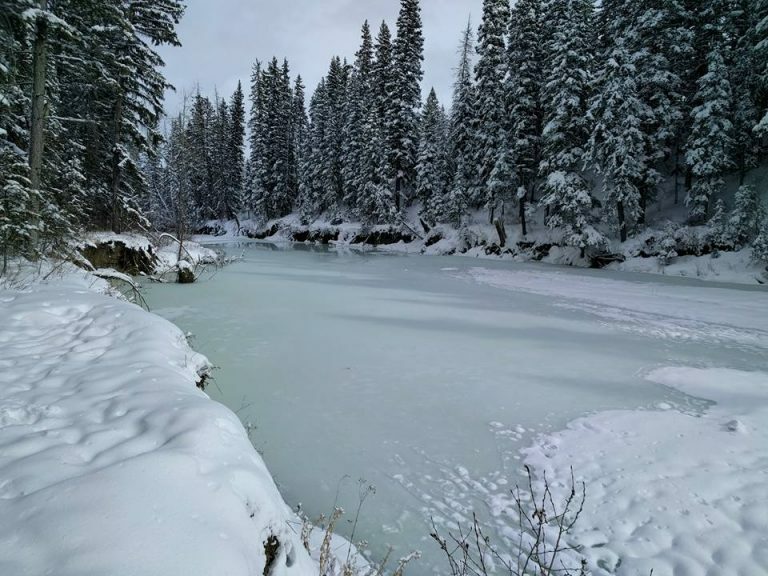 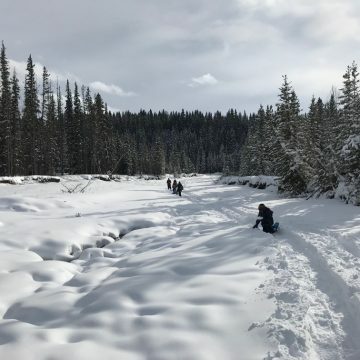 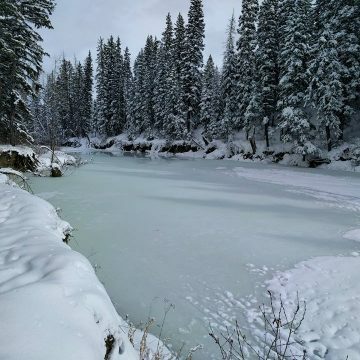 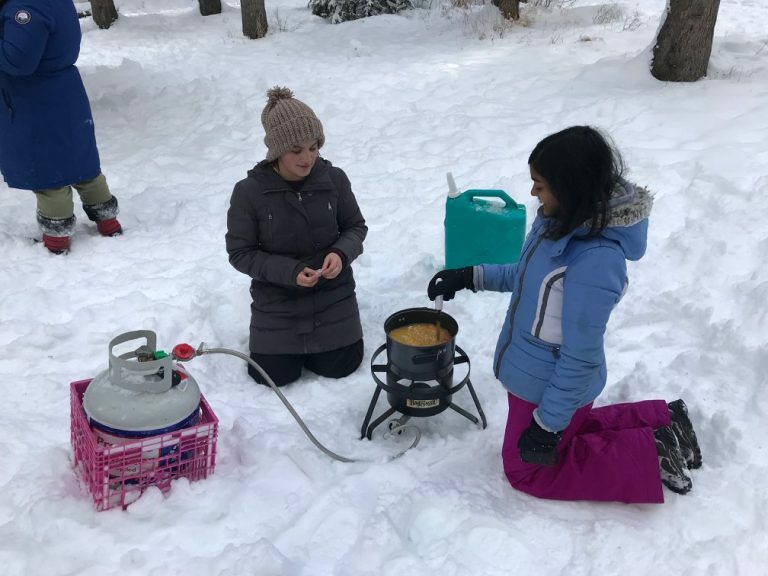 On the weekend of March 2 to 4, the 264 Somerset/Bridlewood Scouts (Chinook Council) were to go to winter camp – but with a heavy snowfall on Friday, highway travel was out of the question and camp had to be cancelled! 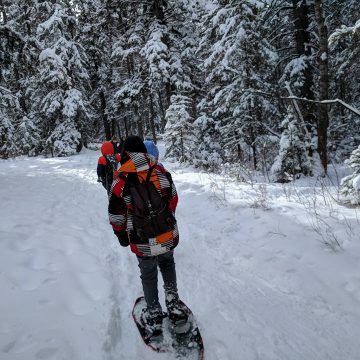 But with the huge amount of snow in the area, the Scouts couldn’t let that opportunity go to waste, so Saturday became a “Snowshoe Day!”. 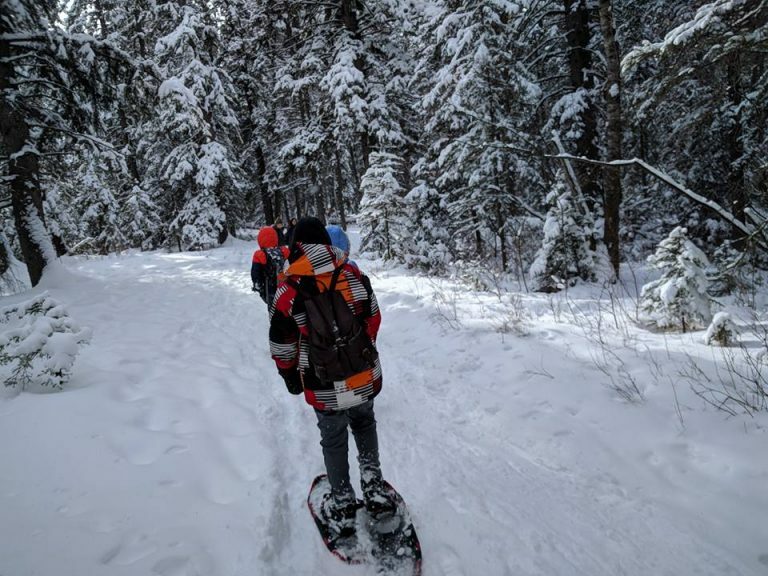 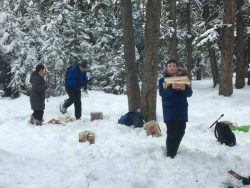 The Scouts did a 4km hike in powder snow 3′ deep at times, but the snowshoes kept everyone upright and trails were blazed. 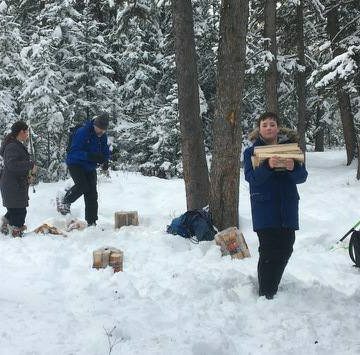 The day was finished off with some winter shelter building, and of course, dinner with a campfire!